When we think of summer, we think of sun, sand, beaches, vacations, BBQs, outdoor recreation, and all the fun things that summer has in store. Once we get into it, though, we remember that every season has its downside, and summer is no exception. After all, no way you’re going to be pestered by a West-Nile infected mosquito in the middle of winter—unless you live where the temperatures rarely dip below sixty degrees. Summer’s health traps can be easily avoided, however, with a few precautionary steps. As you’re out and about enjoying the warmth, don’t forget the following seven tips. 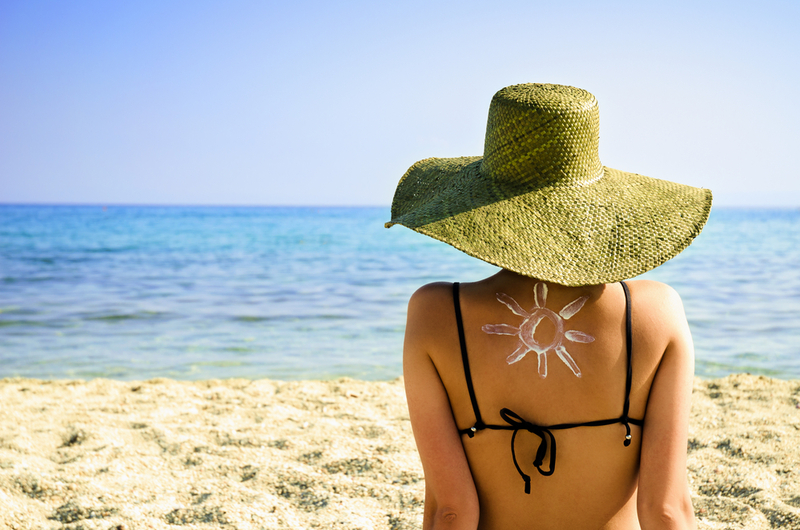 You’ve heard it a million times—wear sunscreen—but you’re probably not doing it. According to a 2015 study, most Americans aren’t. Exposure to UV rays is the biggest factor in all forms of skin cancer—and the most preventable—but researchers from the Centers for Disease Control and Prevention (CDC) found that only 14.3 percent of men and 29.9 percent of women regularly used sunscreen both on their face and other exposed skin. Though sunscreen helps, studies show it’s not bulletproof. Get into the shade when you can, and wear hats and protective clothing during the hottest parts of the day (between 10:00 a.m. and 2:00 p.m.). When shade is scarce, take an umbrella. If you do get burned, apply the purest form of aloe you can find frequently until the sting goes away, and then follow with a natural moisturizer (avoid petrolatum products). Drink lots of water, and use over-the-counter pain relievers (like ibuprofen) if needed to reduce pain and inflammation. If the burn causes blisters, particularly over a large area, seek medical attention. 2. Watch out for poison ivy. The American Academy of Dermatology estimates that between 10 and 50 million Americans suffer from contact dermatitis caused by poison ivy, oak, and sumac every year. The plants grow almost everywhere, except for desert areas and altitudes above 5,000 feet. Learn to recognize the leaves. Poison ivy is a freestanding plant with leaves that have three or five serrated-edge, pointed leaflets. 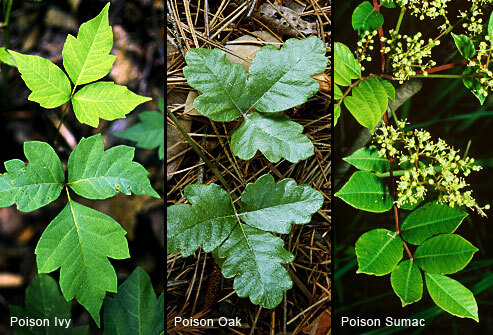 Poison oak grows as a shrub, produces whitish flowers in late summer and early fall, and has three oak-like leaves. Poison sumac grows as a shrub or small tree, is found mostly in the eastern U.S. near swamps and peat bogs, and has leaves with seven to 13 staggered leaflets. Prevent a rash by avoiding these plants, and by wearing protective clothing when you’re outdoors. You can also purchase an “ivy-block barrier” lotion that contains “bentoquatam,” a medication that creates a protective barrier on skin against contact with certain poisonous plants. If you do get unlucky, the oil in the leaves may cause an itchy, blistering rash. Rinse immediately with lukewarm, soapy water to get the oil off and to prevent it from getting on anyone else. Wash your clothing, too, and any other surfaces that may have come into contact with the oil. Try not to scratch, and apply calamine lotion and cool compresses to skin that itches. (Tea tree oil may also work—just dilute it with another oil, like jojoba or olive.) If you typically have allergies, taking an oral antihistamine may also help. If the rash doesn’t get better after about a week, see a dermatologist for help. 3. Protect yourself against bugs. Bug bites are often nothing more than itchy irritants, but they can also be serious, especially if you’re bitten by a poisonous critter or one that’s carrying disease. Mosquitoes can infect you with the dangerous West Nile virus, and ticks are known for a number of pathogens, including those that cause Colorado tick fever, Rocky Mountain spotted fever, and the dreaded Lyme disease. Wasps and hornets can also cause scary allergic reactions in some people, and we’re all well aware of venomous spiders. Follow with something to reduce the itch and jumpstart healing. Good options include baking soda, tea tree oil and/or lavender oil, calamine lotion, and lidocaine. For bites causing allergic reactions, take an over-the-counter antihistamine. If you experience more serious symptoms, such as a rapid heartbeat, difficulty breathing, swelling of the airway, or if you think the insect may have been dangerous (such as a scorpion or black widow spider), call your doctor. 4. Protect your ears around the water. Swimmer’s ear is a nasty infection of the outer ear canal. The CDC estimates that it causes about 2.4 million health care visits each year. It’s caused by bacteria like Streptococcus, Staphylococcus, and Pseudomonas that get past the ear’s normal defenses to replicate and cause problems. Symptoms include pain, itching, redness, drainage, and sometimes minor hearing loss. You can prevent swimmer’s ear by thoroughly draining water from the ears after swimming; keeping your fingers, cotton swabs, and headphones out of your ears; and keeping the ears dry in general. If you get swimmer’s ear, check with your doctor. There are eardrops available that can help kill the bacteria and heal the infection. 5. Don’t get too hot. Summer heat can be very intense in some areas, and can cause heat exhaustion and heat stroke, both serious conditions that can be life-threatening if not treated immediately. The CDC states that between 1999 and 2009, there were over 7,200 heat-related deaths in the U.S. Playing sports outdoors can increase the risks. According to a University of North Carolina study, high school football players are more likely to suffer heat related illnesses than players from all other high school sports combined. Adults over the age of 65 are also more at risk across the nation. 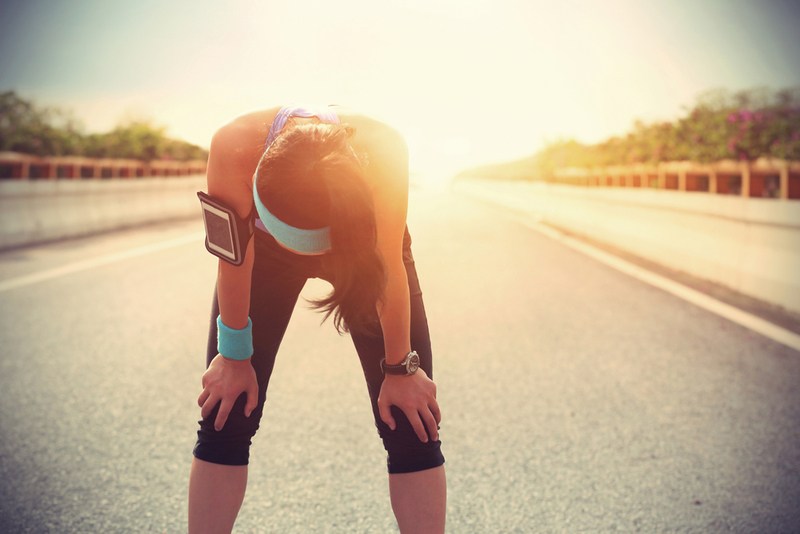 Heat exhaustion causes excessive thirst, headache, weakness, muscle cramps, nausea and vomiting, dizziness, and sometimes, loss of consciousness. The victim may also have a high temperature up to 103 degrees Fahrenheit. Heat stroke is even more serious, and typically follows untreated heat exhaustion. The body’s temperature rises to 104 degrees or higher. Symptoms are similar to those for heat exhaustion, but are more serious, and may include slurred speech, delirium, seizures, and racing heart rate. Immediate treatment is required to avoid vital organ damage and death. Keep yourself cool by drinking plenty of water, keeping cool by seeking shade or an air-conditioned space, wearing loose-fit clothing. Realize you need to be more careful if you’re taking some medications that can affect your body’s ability to cool itself, like antihistamines, some blood-pressure medications, water pills, laxatives, and diet pills. If you feel you may be getting too hot or are suffering from heat exhaustion, get out of the heat (take a cool shower or bath if you can), drink plenty of water (avoid alcohol and caffeinated drinks), and see a doctor if you don’t feel better in 30 minutes. If you suspect heat stroke, get somewhere cool, and see your doctor immediately. 6. Keep your food clean. The CDC estimates that nearly 130,000 people—one in six—are hospitalized each year because of foodborne illnesses. Hot summer weather allows bacteria to thrive more quickly on any food that you may have outdoors. That means if you’re picnicking or barbequing, you need to be more cautious about potential food poisoning. Always wash with hot, soapy water before and after handling food, keep perishable food refrigerated or on ice prior to cooking or eating, clean all surfaces that have touched raw meat, and use a thermometer to be sure the meat is completely cooked. Never leave food out for more than an hour (less time when it’s really warm). 7. Don’t let your skin slip. Because we sweat more in summer, we’re more at risk for blisters, particularly on the feet. We switch up our footwear and often choose flip-flops and sandals that rub on the skin, leading to painful, ugly blisters. Try to be sure your shoes fit well. If your foot is slipping on the heel, around the toes, or anywhere else, that friction will result in blisters within a very short time. A too-tight fit can also result in blisters, so it’s important to make sure your footwear feels good. Most experts say: if it rubs in the store, it will keep rubbing when you get it home. Don’t be fooled by the “it will break in” theory. Try to keep your feet dry with cornstarch and good socks. (Those made with CoolMax material are great for wicking away moisture.) Be careful that your feet aren’t too dry, however, as that can lead to blisters too. If you’re overly dry, apply a natural lotion on your feet daily. If you get a blister, cover it with a moleskin pad and allow it to heal. You can also try a water-based gel-pad dressing like “2nd Skin” to cover and protect the blister. If it’s large and painful, you may choose to drain it with a sterilized straight pin. Then wash carefully, smooth the flap over (it will heal faster with the skin in place), and apply an antibiotic ointment and clean bandage. 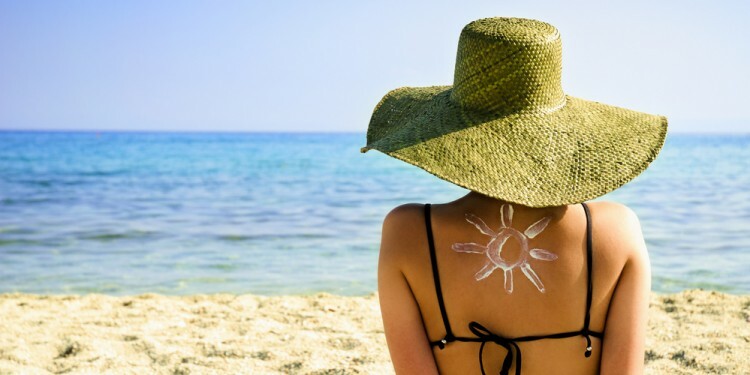 “Study: Most Americans don’t use sunscreen,” American Academy of Dermatology, May 19, 2015, https://www.aad.org/stories-and-news/news-releases/study-most-americans-don-t-use-sunscreen. “EWG’s Guide to Bug Repellants,” EWG, July 17, 2013, http://www.ewg.org/research/ewgs-guide-bug-repellents. CDC. Estimated burden of acute otitis externa—United States, 2003–2007. MMWR Morb Mortal Wkly Rep.2011;60:605-609, http://www.cdc.gov/mmwr/preview/mmwrhtml/mm6019a2.htm?s_cid=mm6019a2_w. Brett Israel and the Daily Climate, “More States Blow the Whistle on High School Football Heat Illness,” Scientific American, April 28, 2013, http://www.scientificamerican.com/article/more-states-blow-the-whistle-on-high-school-football-heat-illness/. “Estimates of Foodborne Illness in the United States,” CDC, http://www.cdc.gov/foodborneburden/. Update on Zika: Do Women Need to be Worried about Bites in the U.S.?